We return with a beautifully produced track from Ramone and his German studio partner, Trigger (who has recently been responsible for remixing Jeru Tha Damaja’s “Ya Playing Yaself” for DMC Records,amongst other things.) 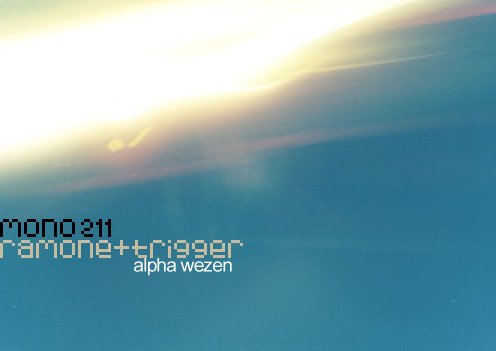 This time it’s a chill-out track that was briefly considered for the credits music on the Playstation title Mono211 have done the soundtrack for. But thankfully for you guys, it’s now a m211 mp3 release, and you get to hear the distinctive blunted Ramone style given a smooth makeover. What do you say, somewhere between Sun Electric and dubbed-up Orb with a distinctive mono211 breakbeat edge? Nice echo-mashed vocal touches, too.